If you, by any chance, are moving to live in Bulgaria or you are planning to stay for quite sometime – then this is something you may be interested in. Moving to another country is a challenge to many people. You may not know the language, you may have problems understanding the customs here, or you may just be experiencing tremendous stress getting used to all your new life or career. Мay be you even had other problems before and practically changing the situation and the country won’t solve them – sometimes it will even make them worse. Depression, anxiety, worrying – this could be just a part of the picture. Looking for life- coaching, psyhology consultation, or psychotherapy session – it doesn’t matter. 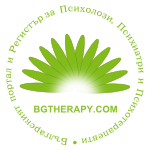 Below is a list of professionals in Bulgaria who can perform these services in languages, different from Bulgarian.